We consider a possible experimental test of Newton’s law of gravity at small distances with the aid of neutron scattering. A deviation from Newton’s law can be expected if the idea of multidimensional gravity is correct. In the framework of a theoretical model related to the weak interaction length, in the Born approximation, we obtain expressions for neutrons’ gravitational scattering amplitudes. We calculate the influence of gravitational scattering on the asymmetry (forward vs. backward) in scattering of neutrons interacting with nuclei, for neutron energies from 10−10 eV (ultra-cold neutrons) to a few GeV. 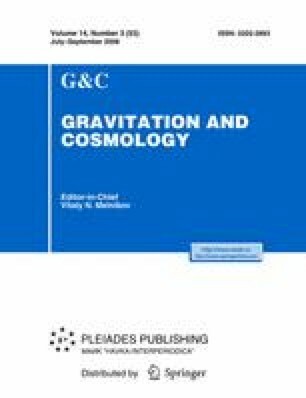 An analysis of the results shows that, with the existing accuracy, experiments of this king can hardly test the idea of multidimensional gravity.